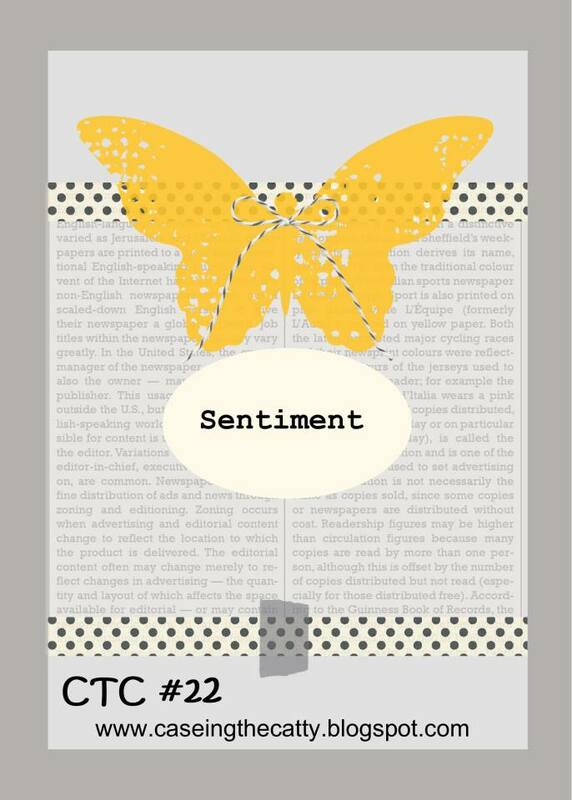 CTC22 – It’s time for a sketch challenge!! This week at Caseing the Catty, we are doing a sketch challenge from the Sale-a-bration catalogue. It’s from page 17 of the AU/NZ SAB catalogue. I was actually a bit stuck on this one as I didn’t want to do a butterfly, but then I decided why not!! I love these framelits so I took the opportunity to use the largest butterfly. I cut it out, then sponged it with Real Red to get a mottled look. But it needed some shine, so I embossed it 3 times with clear embossing powder to make it blingy!! I then got out my sewing machine!!! Yes, I have given in and sewn on a card. Just this once, though. It’s too much of a hassle doing that!! Although I do like the look of it. I used the Stacked with Love DSP stack from the Occasions catalogue and covered it with a piece of vellum. I also embossed a piece of silver foil sheet with the Spring Flowers embossing folder to give a bit of texture to the border. Then a quick stamp of silver ink onto black cardstock using the Choose Happiness set and punched out with the decorative label punch, and there we go. Here’s a close up of the shiny butterfly. That looks great! 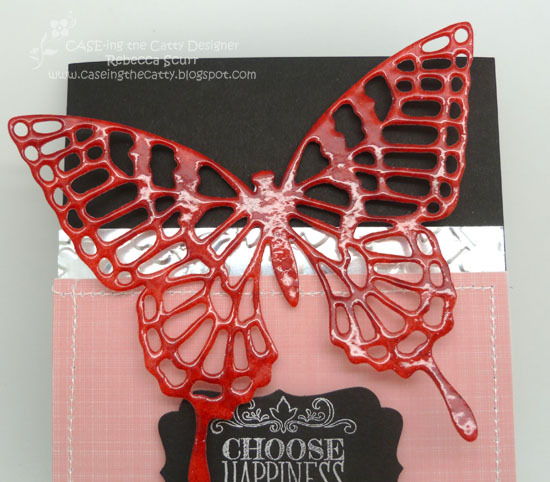 Especially the finish on the butterfly. Gorgeous! 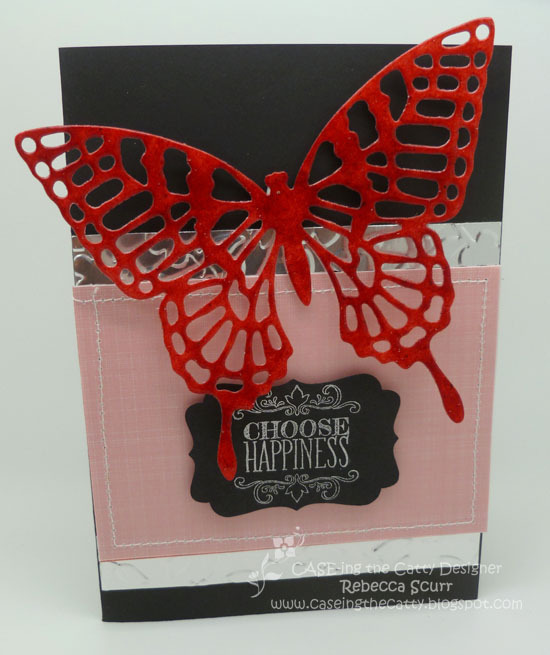 LOVE your vibrant butterfly and the sewing on your card. Definitely worth the effort.